(CNN) - Fans celebrated the life of rapper XXXTentacion and mourned his death Tuesday on both coasts. 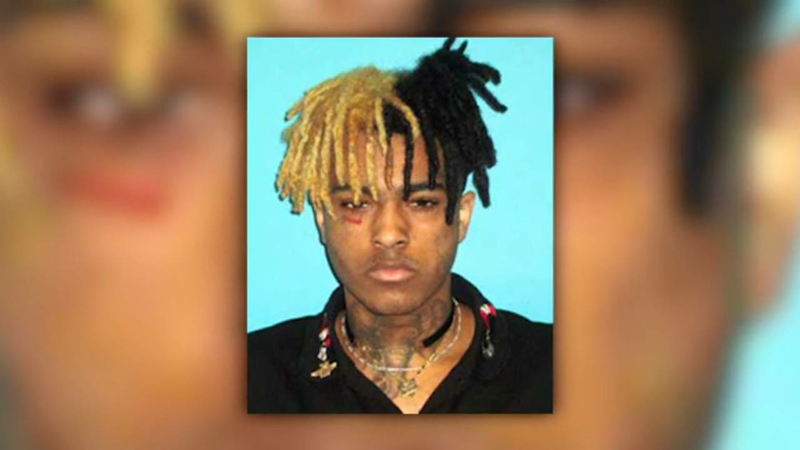 The 20-year-old rapper, whose real name was Jahseh Onfroy, was gunned down Monday in an apparent robbery in Broward County, Florida, police said. Authorities said he was leaving a motorsports store shortly before 4 p.m. when two men in a dark SUV shot and killed him. The South Florida Sun-Sentinel reported that hundreds of people, including XXXTentacion's mother, gathered at a spot near where the rapper was killed in Deerfield Beach to pay tribute to the slain artist. Fernando Yurkin told the publication he had played football with the rapper at Sabal Pines Park in Coconut Creek in October and ended up keeping in touch with him. "This kid, if you followed him, he was all about positivity, spreading love, inspiration -- that's what I got from him and I think everybody should get that from him, regardless of what happened in the past," Yurkin said. "He lived up to his mistakes. A lot of us don't live up to our mistakes." Authorities are continuing to investigate the murder. As of Wednesday, no arrests had been made. There has been mixed reaction on social media about XXXTentacion's death, with some grieving and some saying they refuse to because of charges of homophobia and assault levied against the rapper. In 2016, XXXTentacion was accused of homophobia after he sat down for an interview with Adam Grandmaison for the YouTube podcast "No Jumper." During the podcast the rapper told a story of choking and severely beating a cellmate he suspected was gay while they both were housed in a juvenile detention center. According to court documents he was awaiting trial for a domestic violence incident involving his pregnant girlfriend. XXXTentacion pleaded not guilty to multiple felony counts, including witness tampering, and had been under house arrest for a time while he awaited trial. The house arrest was lifted in March, according to Miami-Dade court documents. In Los Angeles, hundreds of people gathered at Melrose and Spaulding Avenues shortly before 8 p.m. Tuesday to remember the slain rapper. Los Angeles police told CNN that during the gathering, the group threw rocks and bottles at police officers and blocked the street and traffic. One officer was struck by a brick or piece of cement, but was not injured. Officers in riot gear responded to the scene and used non-lethal methods to disperse the crowd.